We’re always looking to streamline our travel wardrobes. Really, the end goal is to strike the perfect balance of a stylish look with something comfortable enough to sit in for over five hours on a plane. Plus, breezing through TSA security checkpoints is always top of mind. We’re always learning new tricks from fashion girls, so when we had a chance to sit down with Italian It girl Chiara Ferragni, we were interested to discover her tips for traveling like a pro. Ferragni was recently named the number one fashion influencer on Forbes based on her wildly successful fashion line, over 10 million Instagram followers, and popular media platform, The Blonde Salad. Naturally, running a modern media and fashion empire, she travels—a lot. And Ferragni admits that throughout the years, her airport style has evolved as she’s racked up more frequent flyer miles. She explained that her look is like a dressed-up version of pajamas. 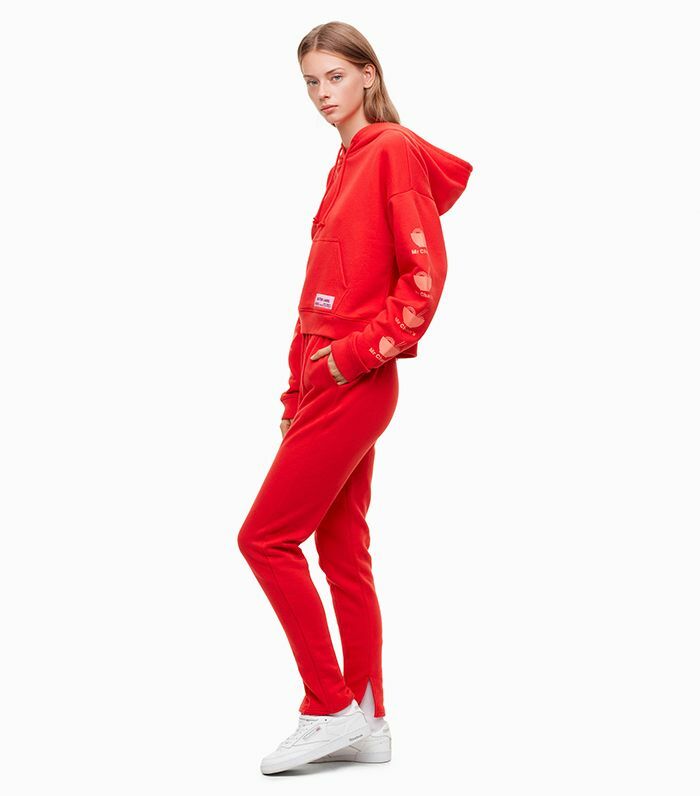 With all the cool track pants and elevated athleisure on the market right now, it’s a look we can get behind. Go on to shop for cute airport outfits inspired by Chiara Ferragni’s travel style. Cozy up on the couch or grab brunch in these flattering tailored pants. A sweater that masters comfort and style at the same time. Style these pants with everything from white sneakers to black pointed-toe booties because they're so versatile. The new cool shoes to run errands in. A designer favorite from this fall collection. Opt for these distressed Golden Goose sneakers for all weekend activities. Pair with a light blouse and jacket to complete a laid-back look. Striped trousers have been seen on countless working women this fall. Essential shoes in any fashion girl's closet. Add to a cool leather pencil skirt and booties. Complete the look with a cool graphic tee. This jacket has been spotted on countless celebrities. These pants will keep you comfortable and trendy during your travels. We are loving the frayed hems on these track pants. A stylish take on the classic Nike swoop. A sweater you'll never want to take off. We love the combination of fur and leather on this jacket. A classic Adidas hoodie that can be dressed up or down effortlessly. We love the chunky platform soles on these. Next, read about the one color to skip this fall.